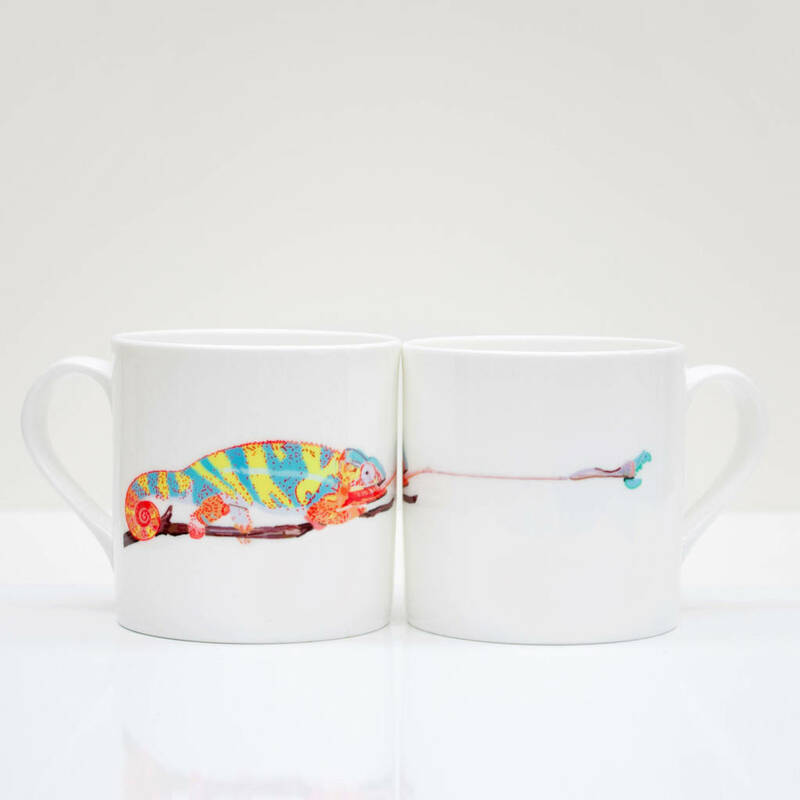 Bone China mug with a Chameleon, catching a caterpillar around the otherside of the mug. 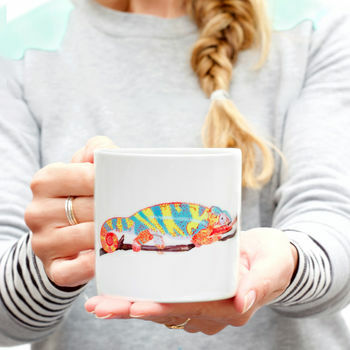 The design has been hand drawn by Alice Rolfe in her Bristol studio and placed onto the mug using heat to adhere it to the surface making it dishwasher and microwave safe. Being bone china, it has a nice fine rim and when held up to the light is slightly translucent. The mug is a hearty size around holding 14oz (rather than the usual 11oz) so you can get a proper cuppa out of it. 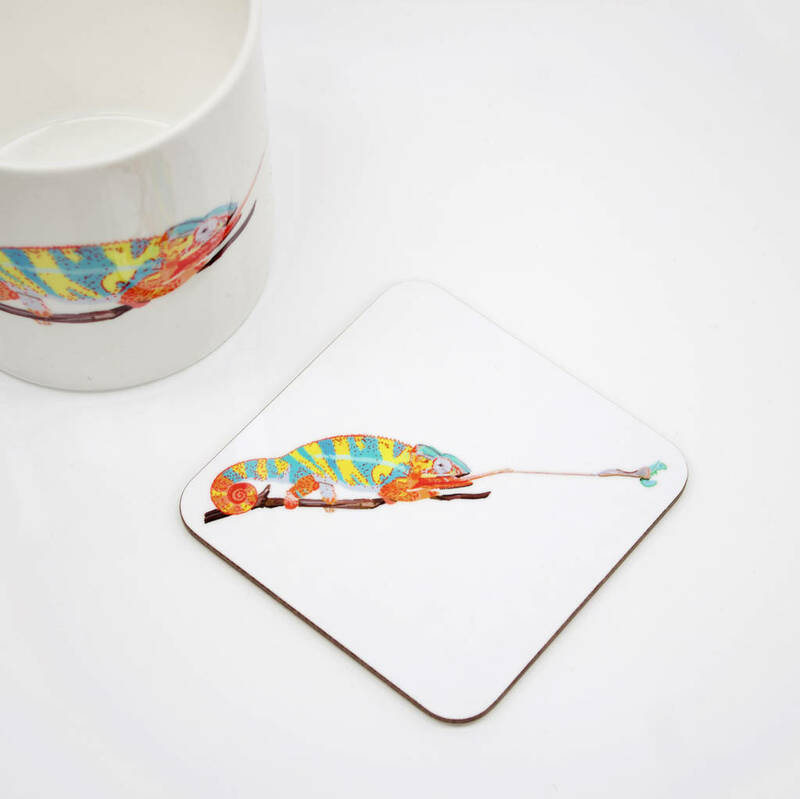 Dimensions are 9 x 9cm. 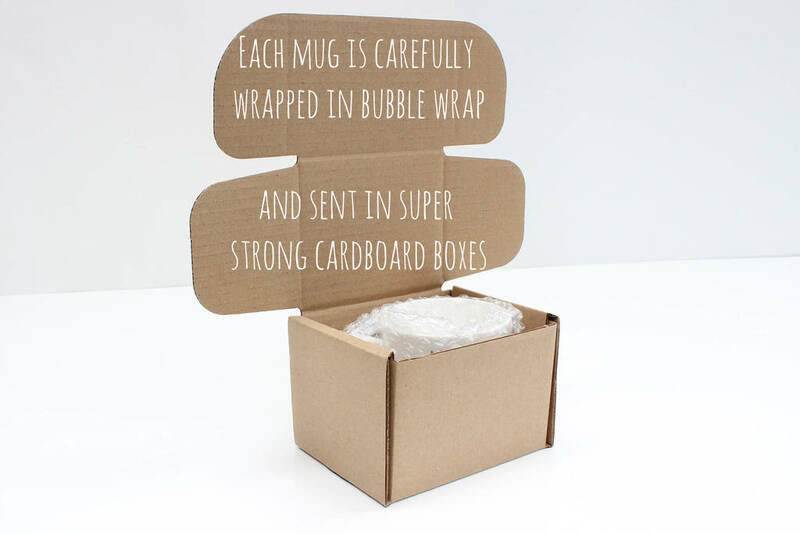 Comes wrapped in bio degradable bubble wrap and recyclable cardboard mailing box. 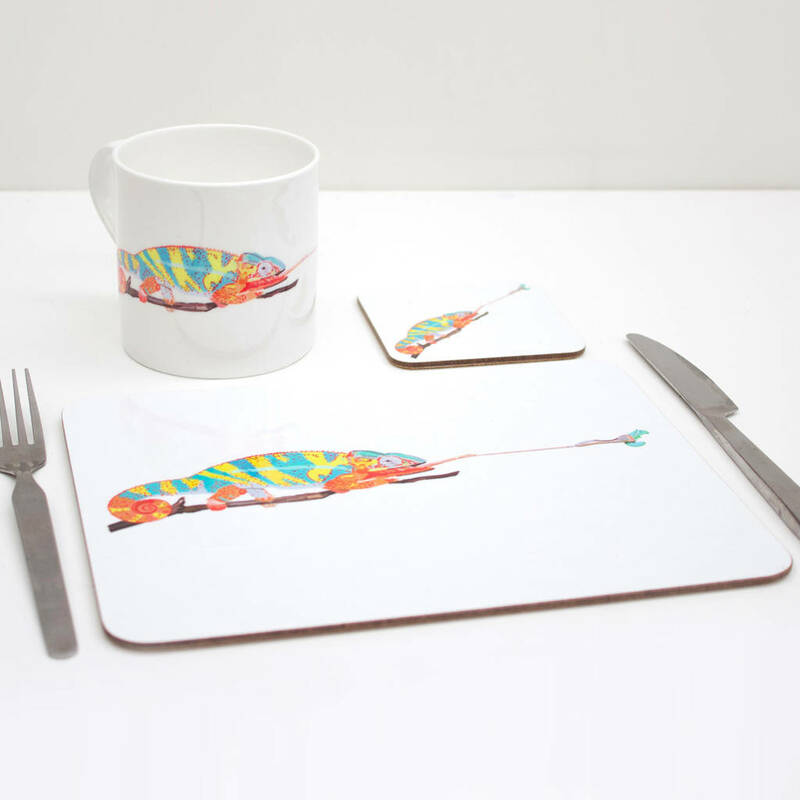 This product is dispatched to you by Rolfe & Wills.